Josie Chadwick dreams of marrying for love in Cornwall, England, but with her father's debt threatening to destroy all she holds dear, her romantic options are dwindling. When her elder sister Delia is disowned, Josie finds herself heiress of Chadwick Park, torn between dreams and duty. 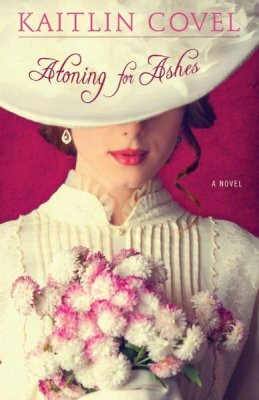 After sacrificing her heart to atone for Delia's sin, Josie clings to the hope she will learn to love a distant husband, whom she fears is incapable of requiting her affection. Charles Radcliffe's heart has been scarred and hardened by rejection. He fears hurting his new bride, but his fears of betrayal and rejection are stronger, making it impossible for him to trust her love--let alone the love of her God. As Josie and Charles face their new life together, ominous events warn of dark family secrets that could shatter them both. More than a loveless marriage is at stake if they cannot stand as one. Will they learn to trust God and each other before it's too late? This book was intriguing and mysterious. It had me from the get go. Set in an era where arranged marriages were common and most wealthy people married for convenience, it is sure to draw you in, as the plot twists and turns with hauntings, forbidden love, secrets, and much more. The main character Josephine, is a kind, patient soul, willing to martyr her own happiness for that of others. Ever the peacemaker, she goes above and beyond attempting to keep her family together and happy, always sacrificing. However, the sacrifices are not without pain and heartache. I loved the fact that I could relate to her. There were times she wanted to rant and rave in her pain, lost her faith in God, and almost gave up hope, but she had a constant reminder of God's love for her, and through that love she was able to love those around her, even the most unlovable. Esther, was another one of my favorite characters, with secrets in her past, and yet an undying faith in her Savior, and lots of courage. And dear Charles, with all his demons, would clearly become the hero in the end... I hoped anyhow. You'll have to get a copy to find out. The author doesn't shy away from touchy subjects: a rocky marriage, an angry, abusive husband, addictions, secret love, and more. I also appreciated how Kaitlin wove Scripture, faith, and character building so well through the pages of the story. There was so much food for thought. The plot starts out well, then kind of dawdles along til about midway through the book, then picks up and takes a most unexpected twist as the climax approaches. I was quite taken by surprise. I kind of knew something was going to happen, but I wasn't expecting that! The only thing I would say I would have chosen differently, was for the book to have been a tad bit shorter. It felt a little drawn out, but that may have been just the fact that reading e-books is a little harder for me or that as I was racing to the finish, it seemed I couldn't get there fast enough! I would highly recommend this book and look forward to reading more of Kaitlin's works in the future! I received an e-copy of this book from the author and was not required or asked to review positively. All opinions are my own.